Beneath the floor of every microchip manufacturer is a subfab containing miles of stainless-steel tubing transporting a myriad of different gases used in the production of semiconductor chips. Some of these gases are highly toxic even at very low concentrations and others are highly corrosive. Not only must the fab’s piping be free from leaks and resistant to corrosion, it must uphold the overall integrity of the system. In semiconductor manufacturing, controlling moisture levels throughout chemical delivery systems is not an option – it’s mission critical. That’s because, when water reacts with gases used in the manufacture of semiconductors, it can corrode the wetted surfaces of gas handling components and gas delivery equipment, generate troublesome particles, and impact performance of the process tools. What’s more, if systems fail, it can result in significant safety issues and damage to systems. Let’s examine how the proper filters can help or hinder semiconductor gas handling equipment and process quality. When moisture invades your system, time is of the essence. Moisture is insidious and, if not stopped, can easily find its way into semiconductor equipment, especially during initial construction of the fab, when welders are connecting the many miles of high-purity tubing. But it can also occur at different times during manufacturing, such as upon tool startup, when gases are changed, or when system maintenance is required. During fab construction, thousands of ultra high purity welds are required. The process entails the use of shielding gases (argon, helium or both) to protect the weld area from oxygen and water vapor. Shielding is critical in preventing discoloration in the weldment – a clear indication that corrosion resistance has been compromised. If this occurs, particles of oxidized metal can later break off during operation of the system compromising other expensive components and instrumentation, and in the worst scenario, find their way onto the surface of the wafer. Therefore, welders must ensure the weld assembly remains under a continuous purge until all welding is complete. To accomplish this, skilled welders employ a purge gas apparatus, sometimes referred to as a purge jumper. According to SEMI International standards, purge gas must be certified to less than 3 parts per million (ppm) total moisture, oxygen and other contaminants. Filtering purge gas is critical to ensure a good quality weld because the cylinders housing compressed argon and helium gases often contain submicron-sized particles. But filters can present their own challenges. If the filter has an affinity for moisture, it can contribute to delays in the welding process while the system undergoes dry down. So, how do you choose the best filter for such a critical application? When it comes to fast dry down, metal reigns superior. In fact, data shows that metal filters can dry down to less than 10 ppb in less than 60 minutes. On the contrary, polymer-based filters, like those made from Teflon, can take as long as 24-48 hours to dry down to below the 3 ppm moisture level required. Quick dry-down gives welders the flexibility to be able to start and stop shield gas operations multiple times per day. Simply put, using a metal filter provides the fastest and most cost-effective way to filter shield gases. In recent years, Mott has developed metal filters using fiber metal as the filter medium. This material has dramatically reduced filter media surface area and density providing for even faster time to dry down from a moisture spike. Today’s savvy contractors will also apply heat trace to the filter housing enabling them to achieve dry down in less than 10 minutes. Consistency – from first to last. Semiconductor manufacturing is all about precision and consistency. With our proprietary manufacturing techniques, we provide sintered fiber metal filters that are incredibly consistent from the first to the last unit and from lot to lot. In fact, variation in gas flow and pressure drop is extremely minimal, especially when compared to other metal and ceramic filter media, which can have part-to-part and lot-to-lot variations that are as high as 30%. Designing a gas handling system with that level of variation can be quite difficult, especially in the modern fab when automation and distributed control systems can be adversely impacted by too much variation in the flow or pressure. Typically, metal filters have had higher pressure drop than other media types, but, Mott’s fiber metal medias have differential pressure drop below that of filters manufactured using Teflon medium. When moisture is simply unavoidable – minimize its effects. In some parts of the world, where humid conditions are challenging or access to reasonably dry gases is limited, expensive, gas purification systems are often taxed by moisture removal demands. At Mott, we understand that, if you are unable to eliminate moisture from a system, you need to take steps to protect its components from corrosion. That’s where materials compatibility comes into play. We know, from experience, that Fluorine, Bromine, and Chlorine species, in the presence of water, can corrode stainless steel. The higher the level of water, the greater the corrosion. And, though nickel medium and 316L SS bodied filters provides adequate corrosion resistance for some Fluorine species gases, Chlorine species IC makers can achieve optimum corrosion resistance using filters manufactured with Hastelloy C-22 hardware and filter medium. In fact, studies have shown that, using Hastelloy – nickel-chromium-molybdenum-tungsten alloy, in the manufacture of filters is the most reliable way to protect against corrosion over time. Choosing the right filter for your needs. Traditionally, the most widely-used filter media for purge gas jumpers, gas cabinets, valve manifold boxes or on-tool gas delivery systems has been either Teflon or a sintered powder metal element. While polymer-based media have acceptable filtration efficiency performance, they vary in response to moisture spikes. Traditional powder metal filters suffer from higher density which also can add to dry down time. Mott’s new fiber metal filters achieve a new level in efficiency (0.0015 µm), pressure drop and moisture recovery. The new standard for ultra-high purity gas delivery applications is fast becoming Mott Fiber Metal Media. And, it doesn’t take an expert to understand that a metal filter will withstand high temperatures and differential pressures much more effectively than polymer-based filters. Results show that polymer-based filters submit to temperatures above 100°C, whereas Mott’s sintered metal filters withstand temperatures as high as 450°C. The ability to handle higher differential pressure up to 1000 psid ensures that the metal filter media will not fail, whereas polymer-based filter media can fail at differential pressures as low as 10 psid. So, since today’s metal filters are often comparable in cost to polymer-based filters, there is little reason to accept filters that cannot withstand extreme temperatures and pressures or those that require long moisture recovery cycles. 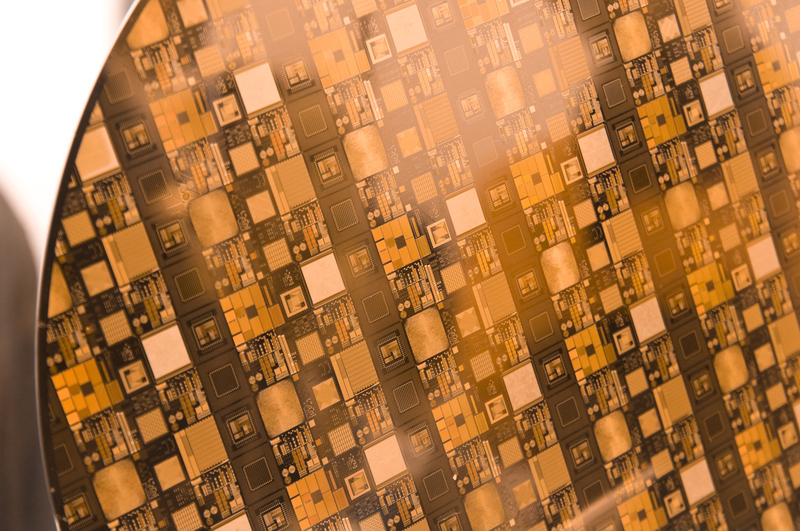 For decades, our engineers and scientists have worked with semiconductor companies in all corners of the world helping tool manufacturers, wafer fabricators and gas box suppliers overcome complex challenges brought about by advancements in this rapidly evolving industry. Longstanding customers and newcomers alike rely on our state-of-the-art Customer Innovation Center to help support them in the development of new products and to enable them to identify issues or concerns early in the design or manufacturing process. What’s more, our patent-pending 3D printing capabilities enable us to custom print porous filters in virtually any configuration. We have even designed parts that have both porous and solid components working together. If you’d like to discuss a current challenge you’re facing or explore a ground-breaking idea that you’d like to make a reality, we’re here for you. We're happy to setup filtration workshops with your team to teach you about the latest in high purity filtration. Use the button below to inquire into a workshop session.